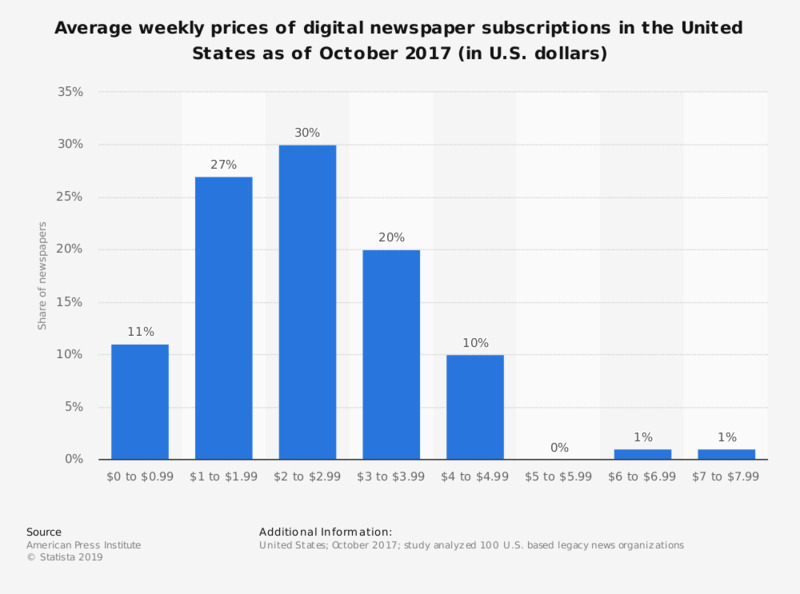 This statistic shows the average weekly prices of digital newspaper subscriptions in the United States as of October 2017. The findings show that 30 percent of the studied 100 newspapers offered a weekly digital subscription between two and 2.99 U.S. dollars. How much do you trust journalists to tell the truth?